Most people become gardeners gradually, by falling in love with particular plants, one by one—a swath of daylilies or daffodils down the road from your house perhaps, maybe a flowering cherry tree by the post office, then a fulsome, old-fashioned peony at the local garden center. Before long, these serial love affairs have blossomed into an obsession with all plants, and the afflicted (blessed?) gardener has accumulated quite a collection---which may or may not have anything to do with each other. The next stage in a gardener's development occurs when composition of the garden—selecting plants for their contrasting or complementary bloom colors, agreeable foliage textures, and the like—starts to become more of a priority than simple acquisition of beautiful plants for their own sake. A sure sign that a gardener has advanced to this stage is when plants start coming out as regularly as they go in: “No, no, this just won't do here; I'll just have to move it somewhere else.” Slowly, beautiful gardens begin to take shape—a gorgeous rose, peony, and iris border in soft pastels, for example, or perhaps a shady nook filled with hostas, foxglove, and bleeding heart. But the common feature is the thought and attention given to how well all of the plants in the garden area relate to each other. The final stage in a gardener's education is when the gardener starts looking over the various flowerbeds, flowering shrubs, and so on, and asks, “How do all of these relate to each other? 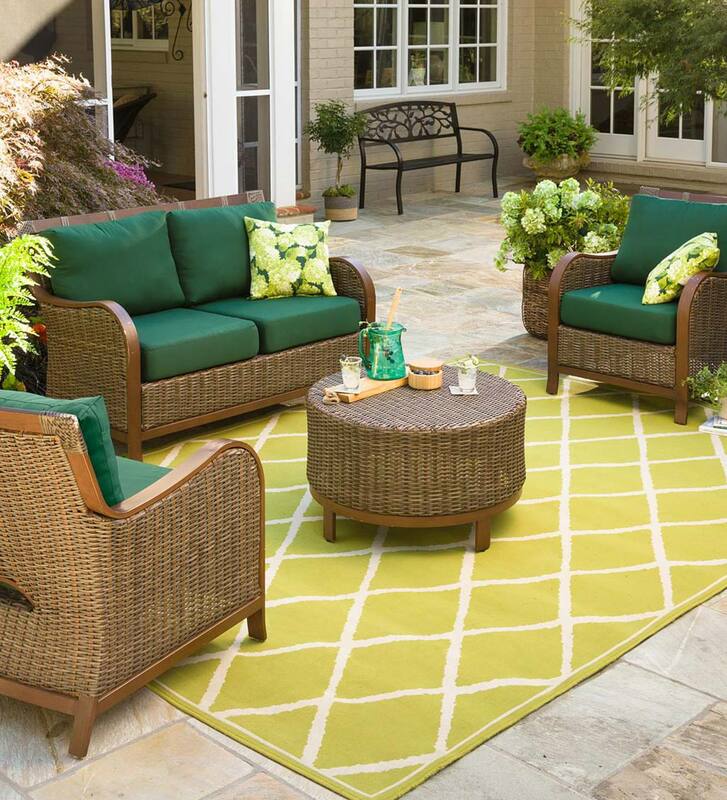 How do I make all of this feel whole?” And the secret to that is in creating outdoor rooms. Some can be grand like a ballroom---an orchard, or a pond and its surrounding garden, for example. Others can be much more intimate, just a little brick patio surrounded by a tall fence on which you have clematis growing perhaps. The thing to remember about garden rooms, though, is that just as with indoor rooms, the basic elements you're working with are walls, floors, ceilings, focal points and entrances/exits. You can create a sense of enclosure (provide walls) with many different materials: Hedges, walls, fences, mixed borders with a few tall shrubs, or any combination of these can be used. Floors are more obvious yet: A lush turf, a brick or bluestone patio (or path), gravel, and a bed of pine needles or bark mulch, all give a garden room a different sort of character. A ceiling in a garden room might be just the sky, but it could also be a large, vine-covered pergola extending over a patio area, or a grand shade tree. Focal points really add to the character of garden rooms by giving the eye something to, well, focus on. A sculpture, a bench at the end of a path, a lone, giant terra-cotta pot at the intersection of two paths, an outdoor fireplace—these and other details can all be used to give a garden room a sense of place. Lastly, don't forget about the entrances or transitions between garden rooms. Arbors, gates, and bridges are just a few of the possibilities for clearly defining where one garden room ends and another begins. If you have a large garden room with an open central space to work with, a pergola is a nice focal point that can also be used to define a seating area. In a smaller area, plantings around an obelisk trellis in wood or metal will help create central anchor to the room. 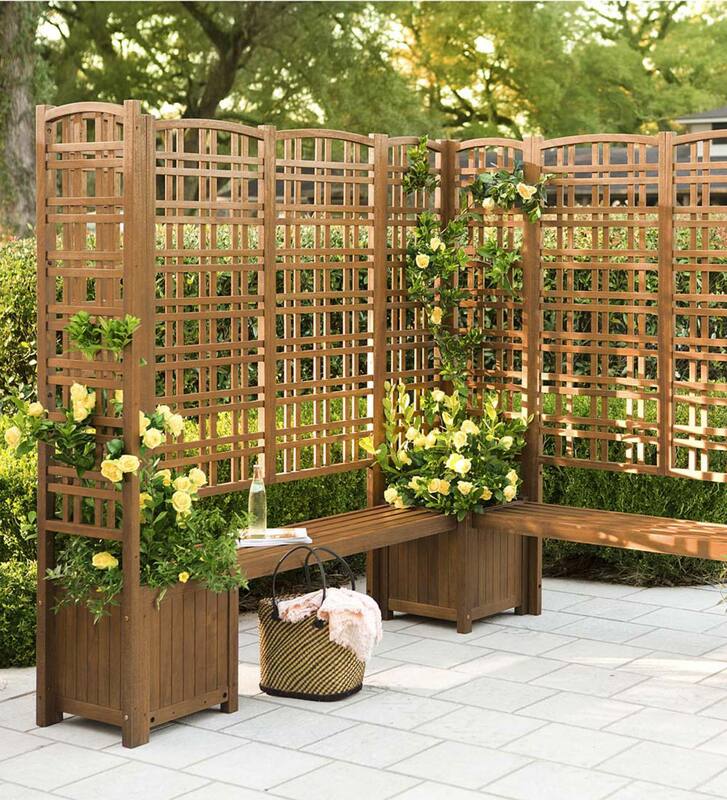 To help create garden walls or dividers, use flat trellises to help define corners and fill out long spaces. 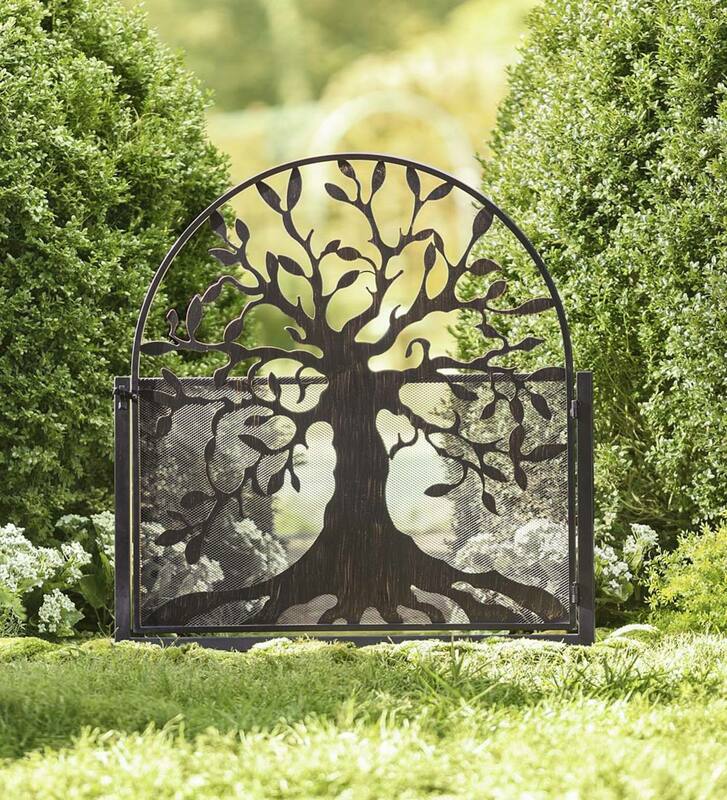 Decorative wrought iron trellises, obelisks and arbors can stand alone as interesting garden elements, but they also act as a structure for climbing plants that will create a more solid wall affect. To enhance a low spot, wet area or small stream, a bridge can act as either a central focus or inviting entrance. 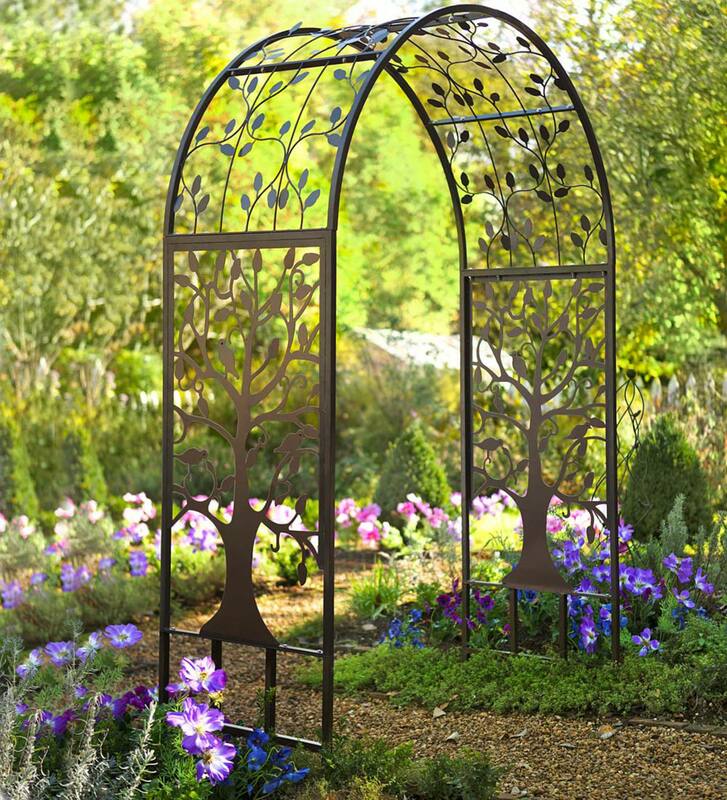 Use an arbor to accent entrances to the room or to help define pathways in the garden. Arbors in wood, metal or vinyl, like trellises, can either stand-alone or support climbing plants. Willow screening is a casual and rustic way of creating a wall affect or hiding things from view within the room. Wrought iron garden edging and fencing are traditional ways of establishing the boundaries of garden rooms. A decorative garden fence and gate, lined with flowerbeds, creates a new room even in an open space. On the floor, stepping-stones can lead you into a garden room, define paths through plantings, and help divide the space between flowerbeds. Garden benches are a classic way to add a focal point to the corner of a garden room that is also a comfortable, restful place.